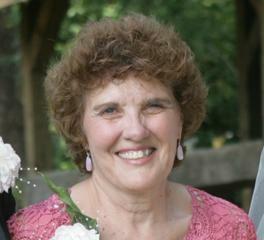 Mary (Morehart) Dietz, 70, passed away suddenly, Sunday, June 3, 2018, in London, Ohio. Mary was a wife, mother, sister, aunt, teacher, mentor and friend. She was as an educator for more than forty years, starting in Pleasant Township and continuing with London City Schools through retirement. Throughout her teaching tenure, she taught an untold number of students in the subjects of English, literature, investigative writing, outbound and more, as well as led the school newspaper, multiple substance abuse prevention programs, and was senior class advisor. She was also honored with being a senior class commencement speaker. Mary was named a Madison County Home-Town Hero. Mary was a member of Cypress Wesleyan Church for more than 20 years and an active volunteer for the church. She was also a member of the Madison County Crisis Response team, a member of the National Organization for Victim Assistance (NOVA) as a crisis responder and trainer, and had traveled extensively across the U.S. as well as to Guam, British Columbia and Russia, with specific focus on helping people learn how to help others in need. She was a supporter and volunteer for the Signs of Suicide program for Madison County. Mary was an avid reader and an animal lover. She spent many hours tending to her flower and vegetable gardens. She never took a sunset for granted. She is survived by her daughters and sons-in-law, Lainey and Derek Betts, Carey Dietz and Michael Lyne; sisters, Barbara Cathel, Kathy Streitenberger; brother and sister-in-law, Paul and Meg Morehart; brother-in-law and sister-in-law, Jacques and Jeanie Dietz; grandsons, Zackary Dietz Lyne and Jonathan Betts; many nieces and nephews; her feline companion Cato; countless friends. She was preceded in death by her husband and best friend, James “K” Dietz; her parents, Donald and Rachael Morehart; and her sister, Judy Fletcher. Mary was an amazing woman, and her legacy is the lasting impression she made on all of our lives. While we are in disbelief and full of sorrow to lose her, we can only take comfort in the fact that she has been reunited with the love of her life, Jim, her husband of 46 years. We look forward to seeing her again. A celebration of life will be held at her church, Cypress Wesleyan, on June 16, 2018 at 11:00 am, 377 Alton Darby Creek Rd, Galloway, Ohio. A brief reception will follow. In lieu of flowers, donations can be made to the American Heart Association in her honor.